4000 CC, Automatic gear shift. 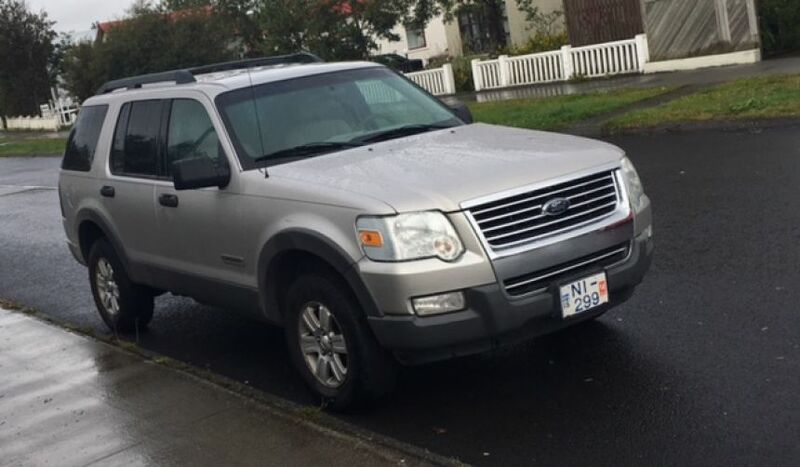 This Ford Explorer is a perfect car to explore Iceland. The car fits up to 7 persons and has plenty of space for luggage. Note that when all 7 seats are used the luggage space is very limited. Sleeping bags can be rented for an extra fee. It has brand new tires and a new automatic transmission. Rear window wiper does not work but the heater is ok so usually it is not a problem. Note that this is a non-smoking vehicle. Smoking is not allowed inside the car. 10.000 ISK extra charge for pickup and/or dropoff at KEF airport.